4x4, Navigation, Heated Seats, Power Sunroof, Hands Free Calling!!! 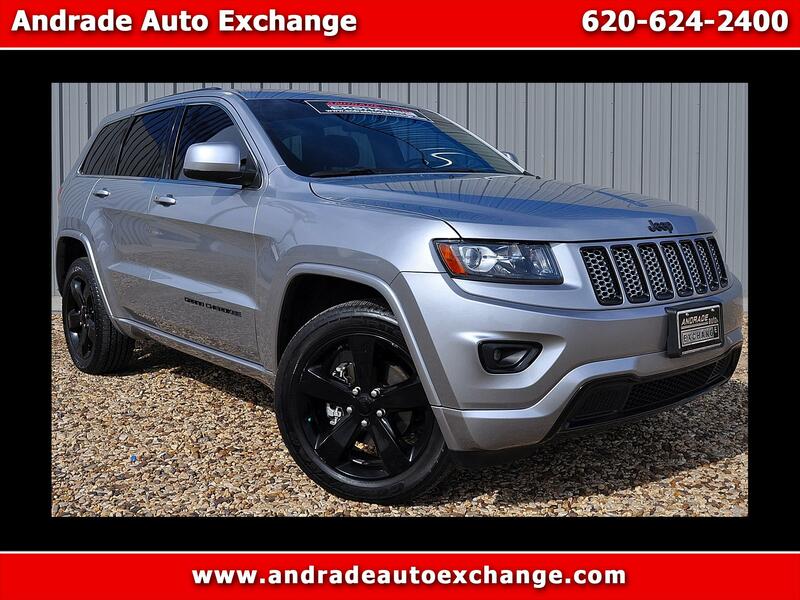 Stand out from the crowd in our 2014 Jeep Grand Cherokee Altitude 4x4. This rugged machine offers off-road capability and is powered by a 3.6 Liter V6 290hp engine that is tethered to an 8 Speed Automatic transmission. You are rewarded with 23mpg on the open road, along with the tenacious traction of Four Wheel Drive. The Altitude looks great from every angle and is enhanced by high-gloss, black painted five spoke aluminum wheels, black detailing, and a platinum chrome grille. The cabin quality, performance, and overall refinement will impress you immediately upon slipping inside. Imagine yourself relaxing in black leather-trimmed seats with perforated suede inserts as you enjoy such amenities as a sunroof, dual-zone air-conditioning, a heated steering wheel, Uconnect display with voice command, Bluetooth, and an amazing sound system with available satellite radio. You'll be thankful you've made this choice! With Jeep leading the way in innovative technologies that are designed to protect you and your family, this Grand Cherokee Altitude is a must have. Print this page and call us Now... We Know You Will Enjoy Your Test Drive Towards Ownership!